The IACAT conference is being held at the Papendal in Arnhem, Netherlands. This is the place where Dutch Olympians train. 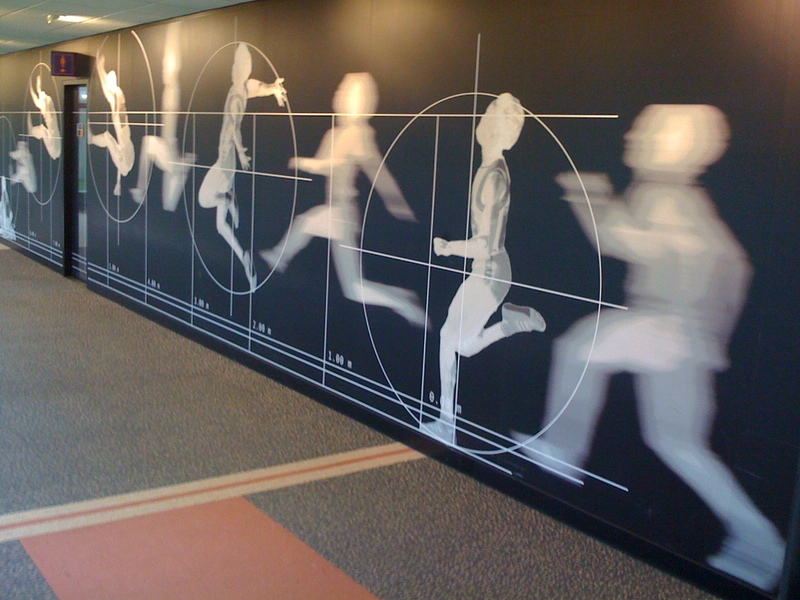 On the wall, there are some amazing pieces of art that depict life size renditions of world record Olympic feats. Here are some photos of them. 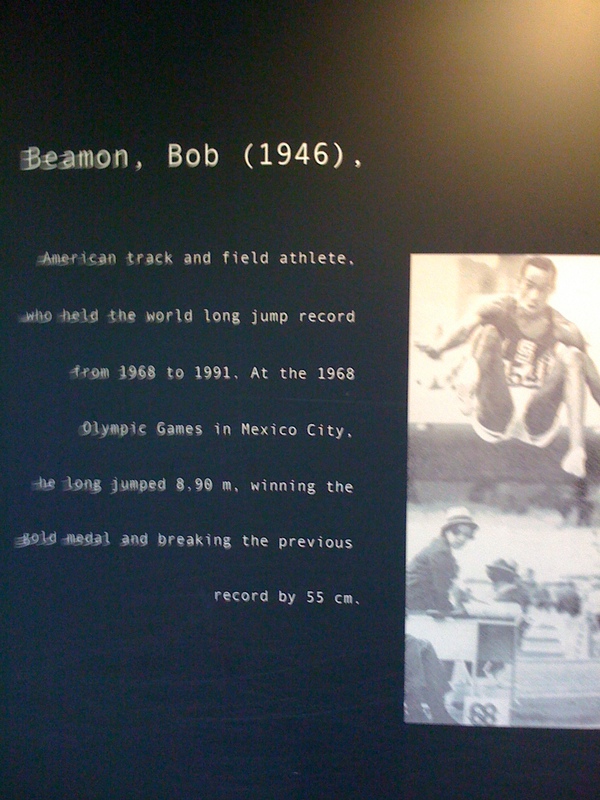 Bob Beamon’s 1968 World Record Long Jump. This was almost 2 ft longer than the prior record. Javier Salabria’s World Record High Jump. 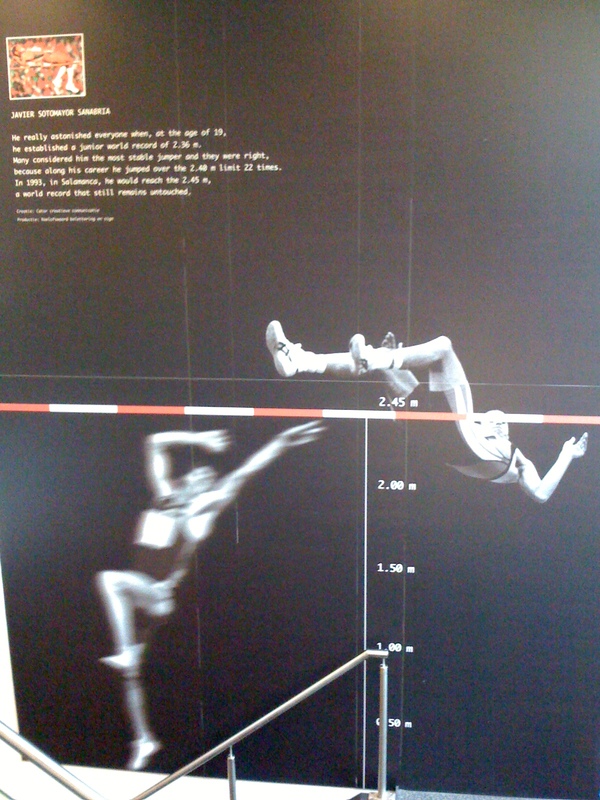 Note the stairwell railing which provides some perspective on how high this jump really was.